Every great team is comprised of great people, and magnifiqueNOIR is no exception. This group of ladies each have their own abilities, back stories, and a strong-willed motto they live by. They work together to protect others, protect each other, and bring out the best in one another. 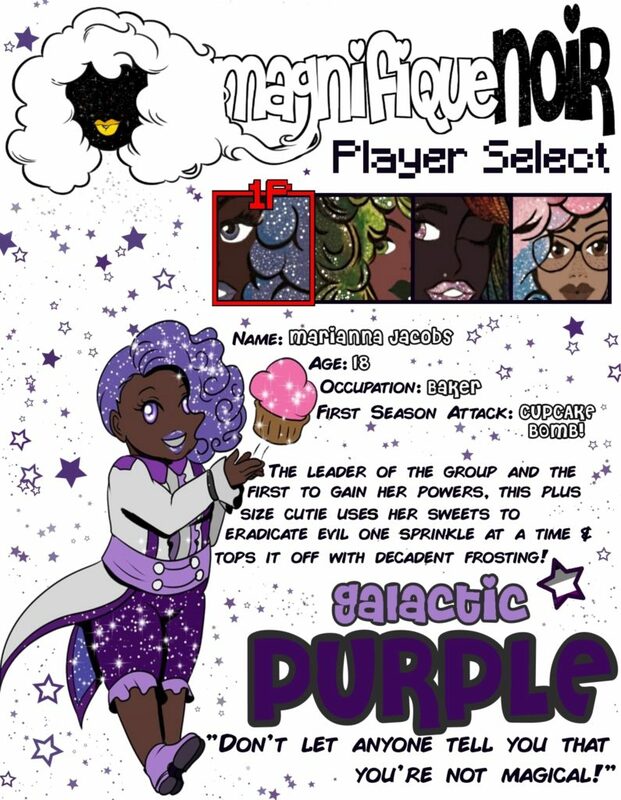 Exactly as it sounds, the “Cupcake Bomb” occurs when Galactic Purple gathers energy in her hand, the power coming together and taking the shape of a cupcake. She then launches the cupcake at her enemies and it acts as a bomb. She can launch multiple cupcakes at a time and they can fluctuate in size. There are two versions to this attack. 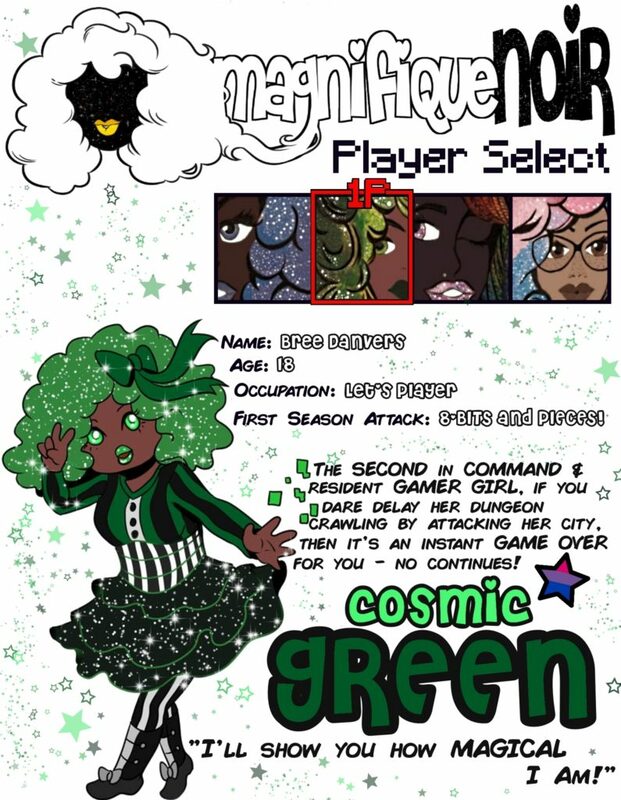 The M-rated version has her blasting green, painful bits directly into her enemies chest. If the enemy is weakened enough, those bits rip right through them. The tamer version has her shooting the bits from a distance, the tiny cubes hitting her opponents like a frantic combo of punches. 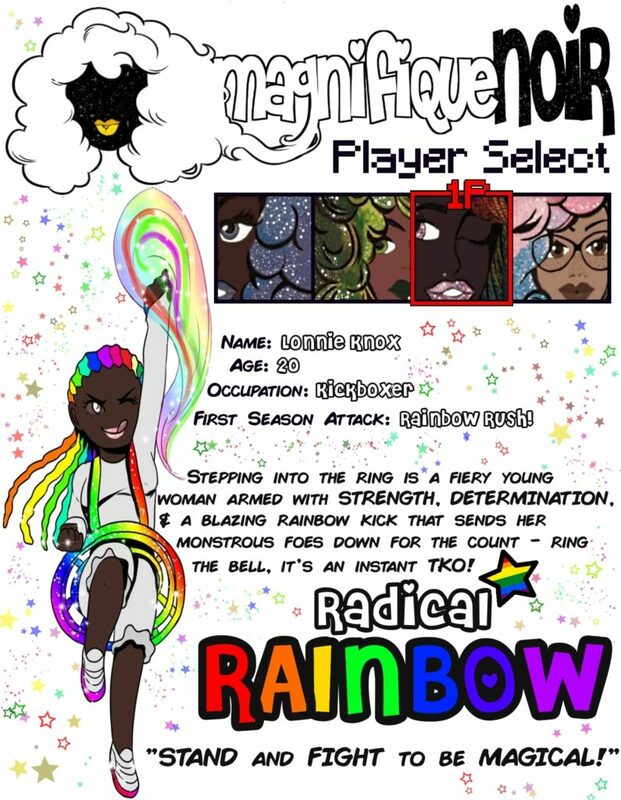 Radical Rainbow’s signature move is a flurry of kicks that deliver a heavy amount of damage to her enemies. It’s a rush of motion, and it’s hard to keep track of her movements, which is exactly how she wants the match to go down. If the attack doesn’t kill you, you’ll wish that it did. 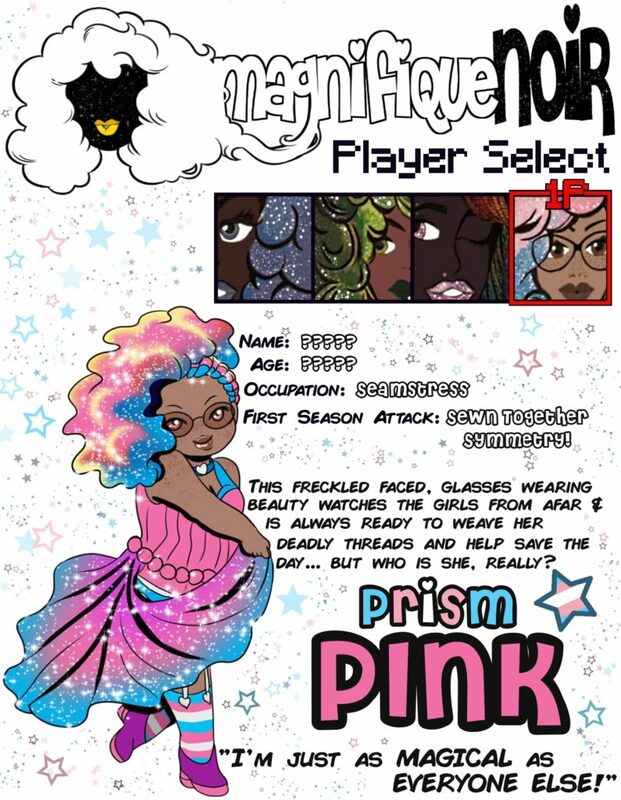 While the girls know nothing about Prism Pink, they at least know that she has some kind of connection to sewing. This first attack has Prism Pink strumming her fingers through the air as if she’s playing a soothing medley. Too distracted by her beauty and grace, her opponents realize too late that she’s actually weaving together strings. In an instant, the strings rush out to tie her enemies down, leaving them vulnerable to any oncoming attacks. If they try to move, the strings dig into their skin.